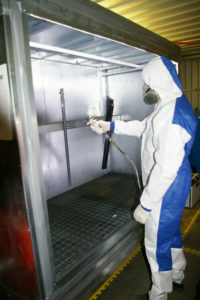 FMJ UK have a purpose built Cerakote spraying facility with a large sparying booth and oven. 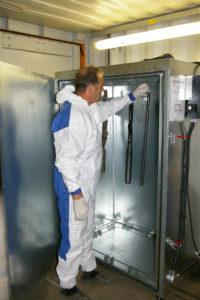 We can spray items easily up to 2 metres long and cure in the oven. 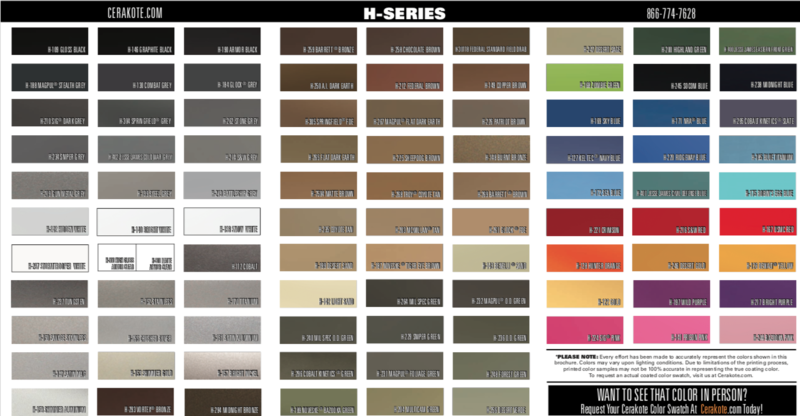 We carry a good supply of colours and coatings and can get in most colours in the Cerakote range. 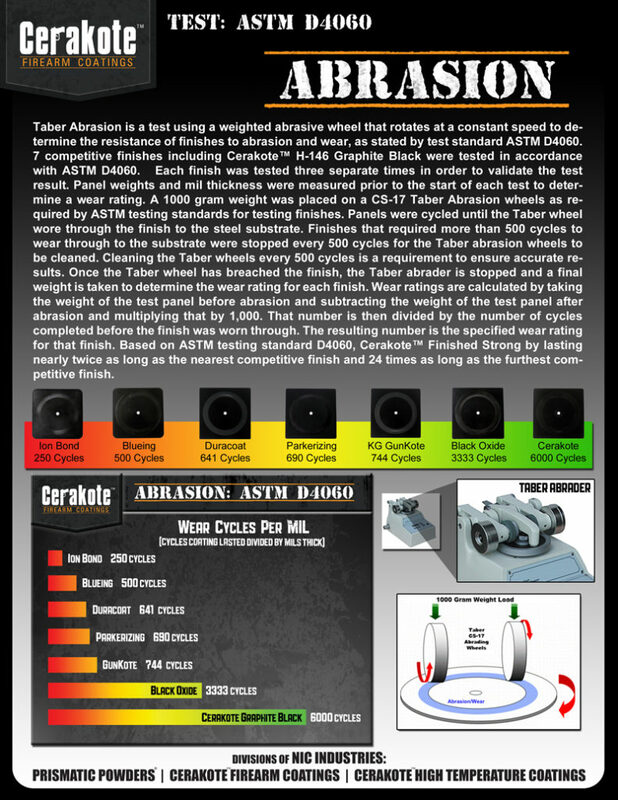 The unique, ceramic-based formulation used in the entire line of Cerakote High Temperature coatings enhances a number of physical characteristics. Cerakote coatings are durable, heat-resistant coatings with excellent long-term perfornance. Additionally, Cerakote coatings function as thermal barriers for thermally-sensitive applications. 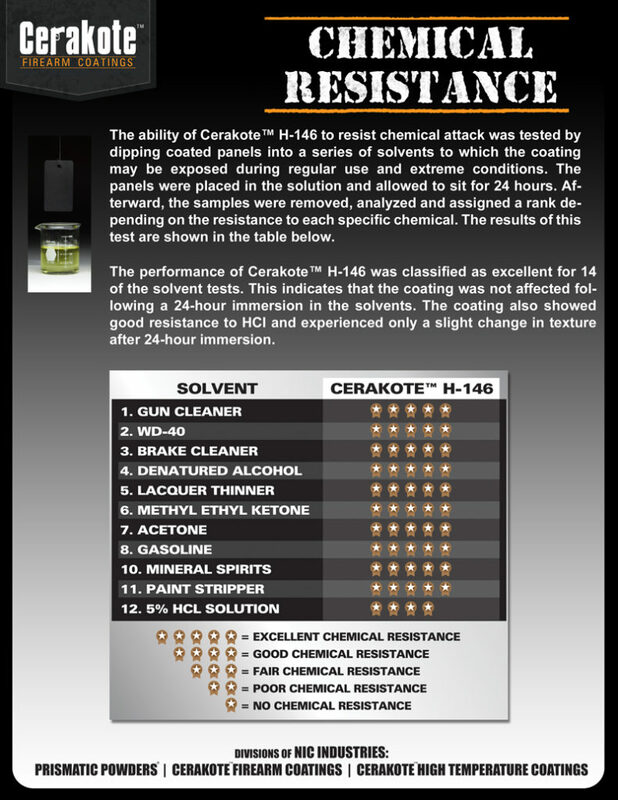 Unlike other ‘ceramic’ coatings, Cerakote is formulated from the molecular level. All Cerakote products begin with a liquid resin, and during the cure process, the resin forms a 3-D ceramic matrix. 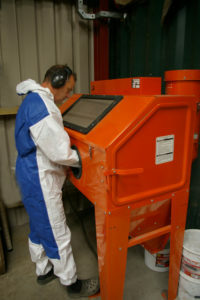 Additional property-enhancing materials are combined with the raw resin and trapped within the matrix. This technology creates a durable, heat resistant coating and makes Cerakote the premier ceramic coating avalilable on the market today. A Trade Price list is avaliable for trade customers.All prices above are inclusive of VAT at 20%. Delivery charges apply. Prices include paint currently in stock. Colours requested from non-stock paint colours will incur a premium.